Richard Crookes Constructions as Head Contractor for a multi-million dollar North Sydney development. Managing Director Mr Sherwood Luo recently expressed his excitement for the collaboration between Greenland and Richard Crookes Constructions stating, “We are very pleased to have Richard Crookes Constructions on board as Lucent’s builder. We are confident in the company’s experience and committed team and look forward to working with them on the project”. 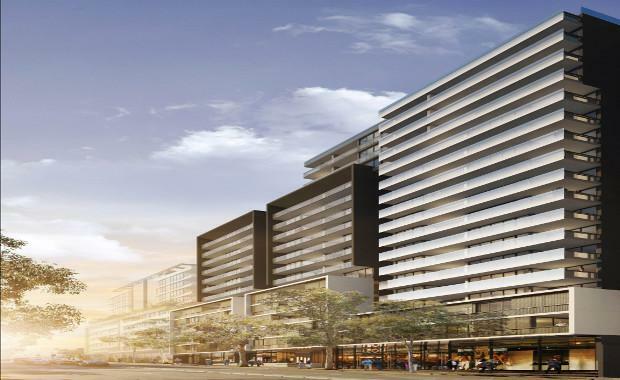 Since September 2014, the $200 million dollar development Lucent has sold over 50 per cent of its apartments to both Australian and international markets. Richard Crookes Constructions is scheduled to commence construction on 2 February 2015 once excavation of the site is completed. The Greenland Centre in what is to become Greenland’s collection of crown jewels in Sydney. Turner, Lucent boasts of light-filled interiors and breathtaking panoramic harbor and city views from rooms and balconies, which reach symbiosis to provide both visibility and complete privacy. Lucent, derived from the word illuminate, is to be uniquely fitted with reflective finishing’s that illuminate each room and utilise the natural light of the space. The stunning roof top garden, constructed against a city backdrop complete with an infinity lap pool, combines the best of city life with relaxation. The Australian Financial Review reported that since entering the Australian market, Greenland has launched more residential projects including Lucent. Greenland’s Development and Marketing Director Mr Kang Xue, hinted in the Australian Financial Review that more projects in the Sydney CBD and suburbs are on the horizon in the future. “We can’t say exactly how many more projects we have but there will definitely be more in the Sydney CBD and its fringes next year” said Mr Xue.